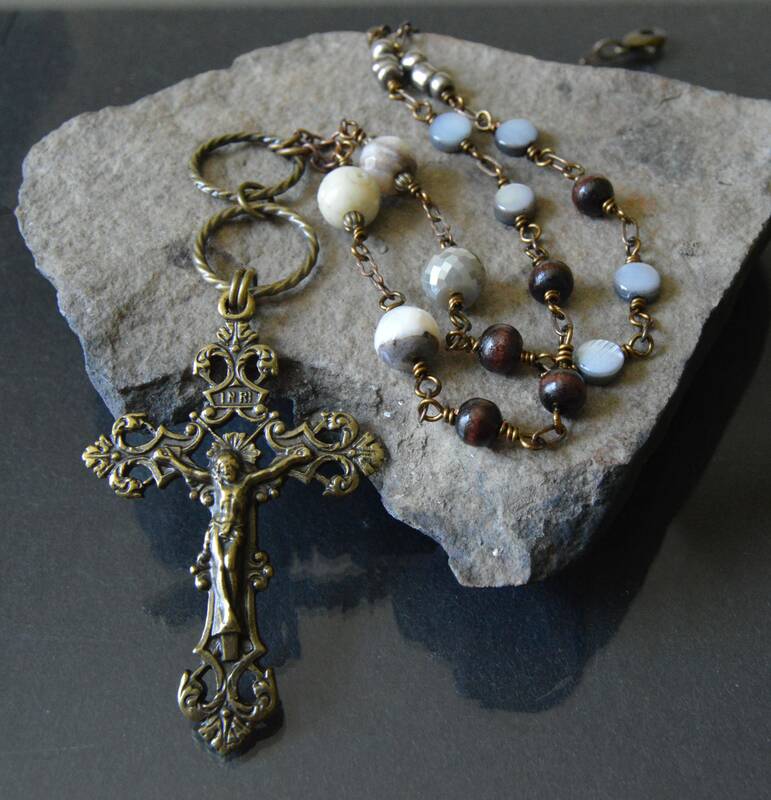 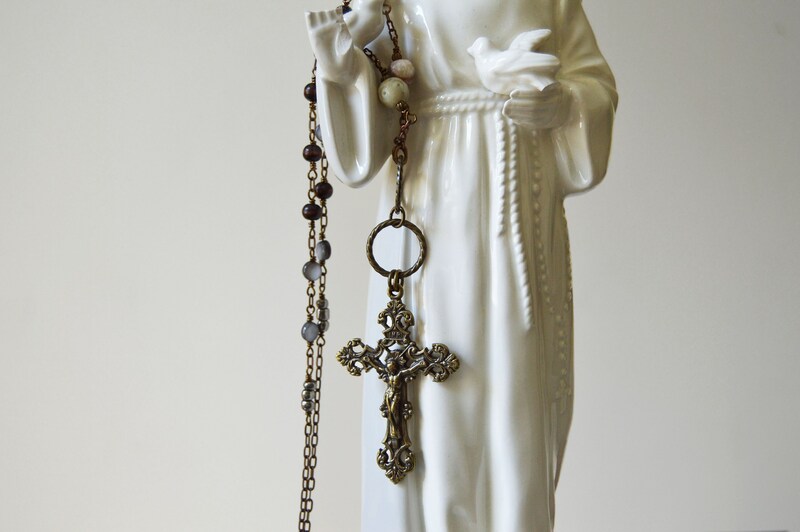 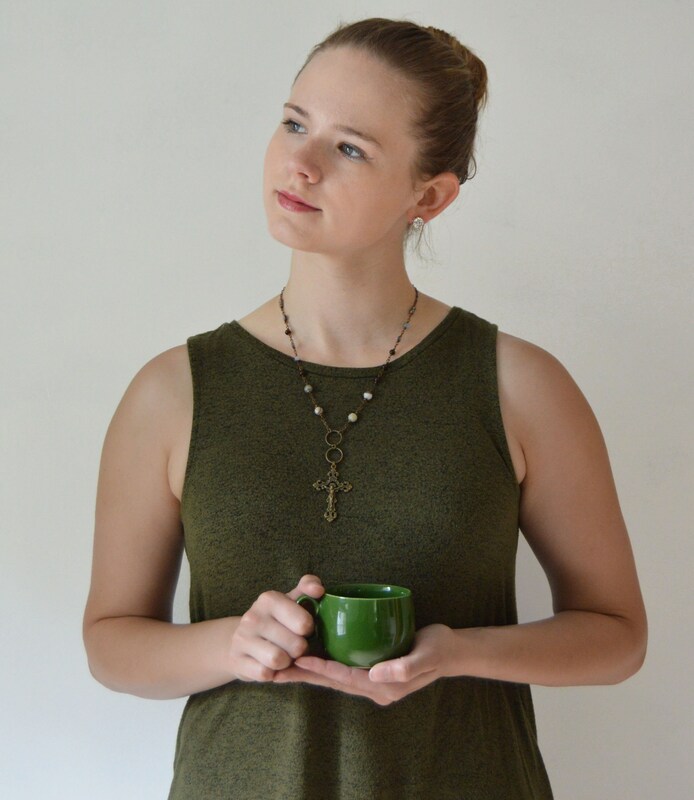 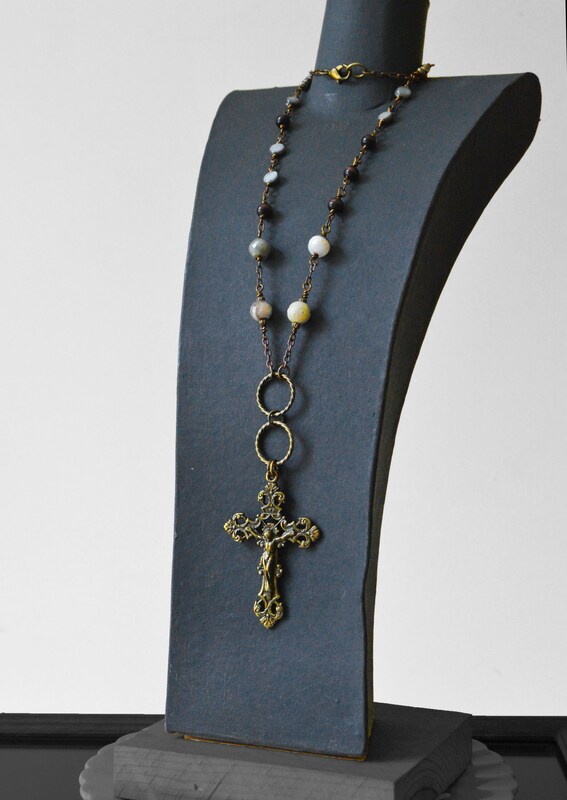 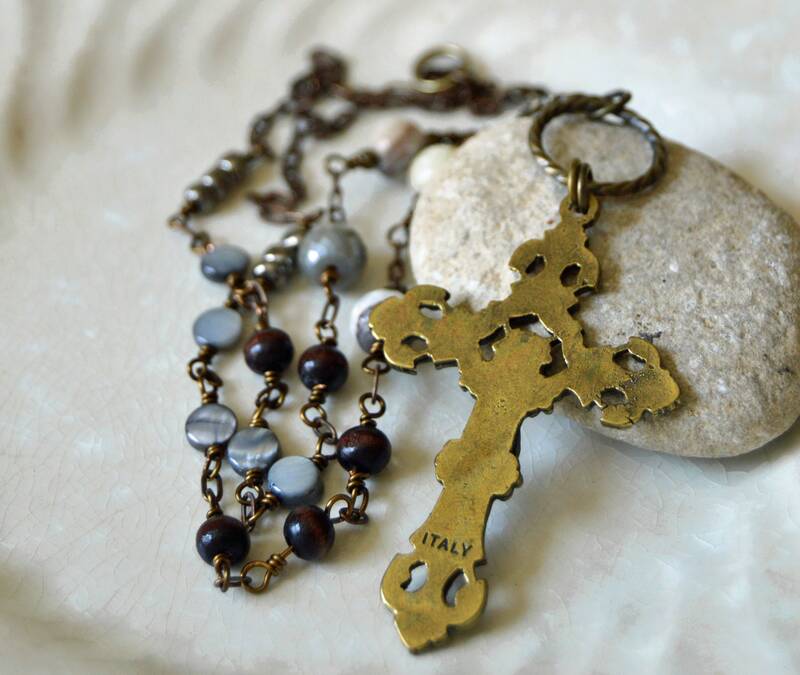 Religious Catholic jewelry mixing contemporary design with a traditional ornate cross. 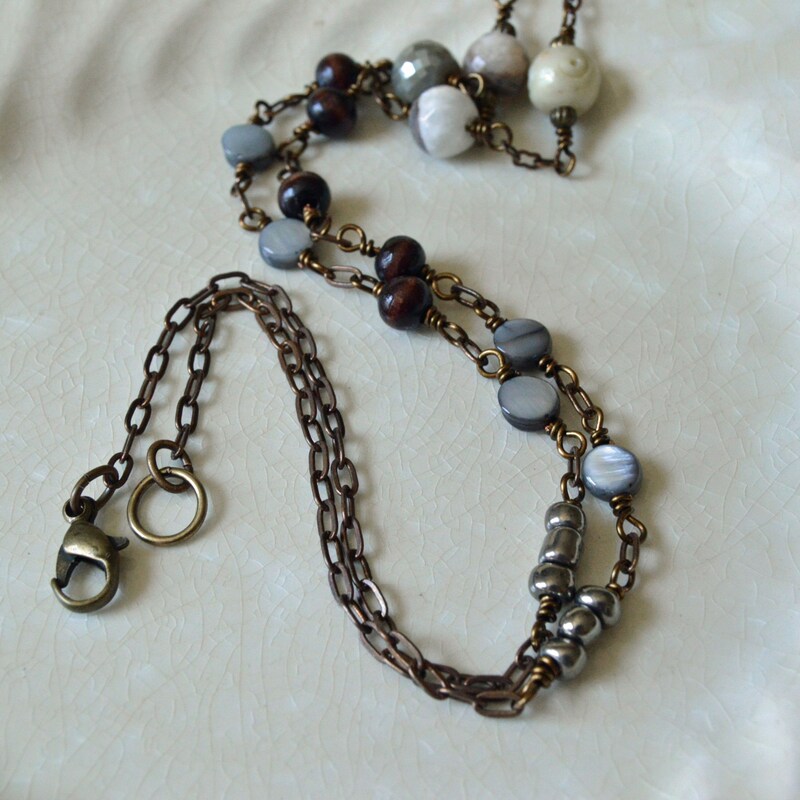 Splashes of grey, dark wood and creamy whites creates a cool balance against warm brass. 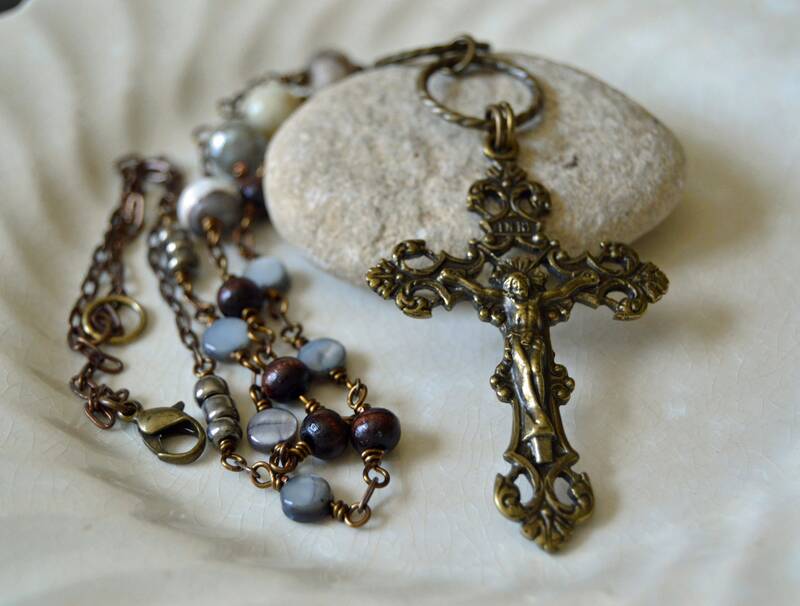 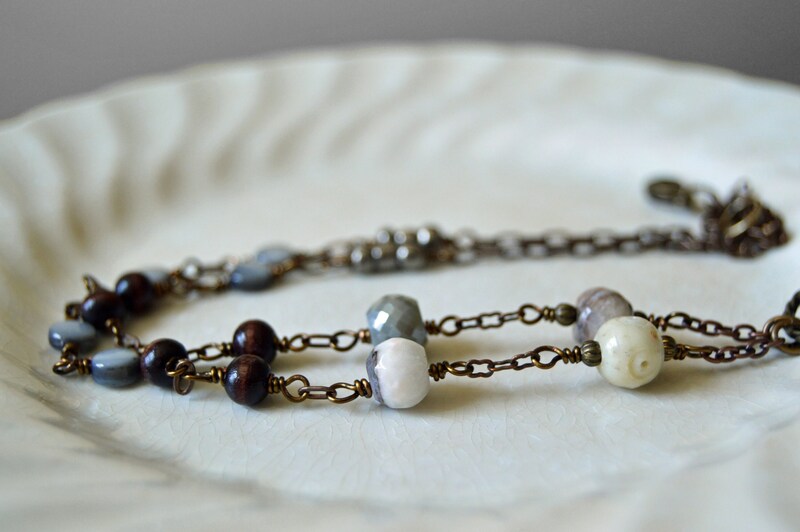 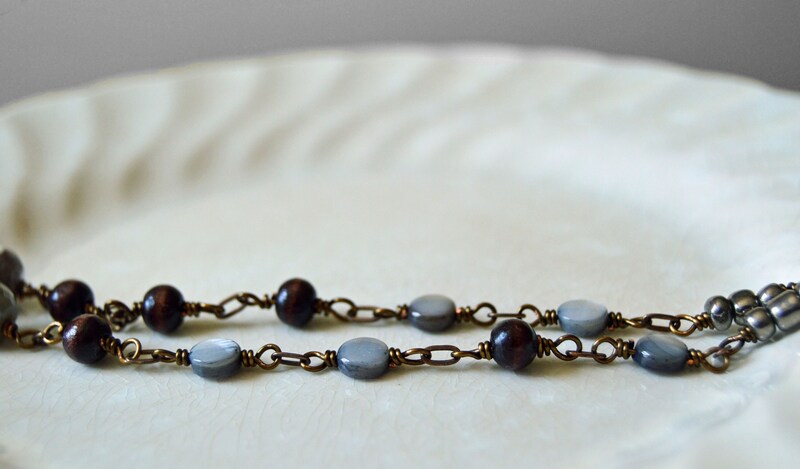 A brass lobster clasp completes the necklace.